Cristi Puiu, born in Bucharest, Romania in 1967, is a director and a screenwriter. In 1992 he was accepted in the University of visual arts in Jeneva where he took different courses in painting and film. In 1995 his short “Avant le petit dejuner” was awarded first prize at the Locarno film festival. Puiu took his bachelor’s degree in “Film” in 1996 with his documentary “25.12.1995. București, Gara de Nord“. Puiu and his wife – Anca Puiu, - founded a film production company, called Mandragora. His movies have won many prizes in different international competitions. “The Death of Mister Lazaresku” won the Award in Un Certain regard in Cannes in 2005, among many other prizes. His short “Coffee and Cigarettes” won “Golden Bear” at Berlinale in 2004. “Aurora” (2010) ia again at Un Certain regard and won East of the West Award and Crystal Globe for Best Cinematography in Karlovy Vary. His last movie, “Sieranevada” (2016), was nominated for “Palme d’Or” in Cannes. 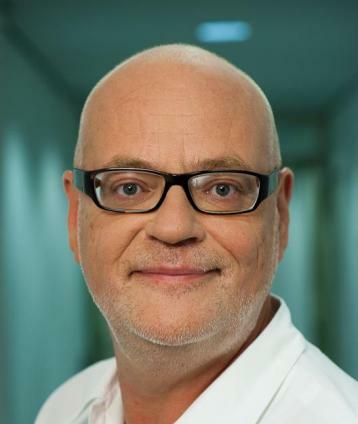 From 1998 to 2016 Manfred Schmidt was working as executive director of the Mitteldeutsche Medienförderung GmbH (MDM). From 1969 to 1981 he was a member of the Berlin “Maxim Gorki” theatre. This followed a seven-year period of free-lance work as author and dramatic adviser. Within this time Manfred Schmidt has taken correspondent courses at the Leipzig Institute for Literature. In 1988, he started working as script analyst and author at DEFA studios for documentary films; from 1990 to 1992 he was the deputy chief editor at this studio. Before being appointed to CEO of MDM he worked as deputy programme director of the culture and science department at the Mitteldeutscher Rundfunk (MDR) broadcasting station from 1992 to 1998. Manfred Schmidt is member of the European Film Academy, Kuratorium Förderverein Deutscher Kinderfilm e.V., Member Advisory Board of Script EAST and Advisory Board of the Sam Spiegel International Film Lab. As the first Canadian accepted into Australia’s prestigious National Institute of Dramatic Art, the award-winning actress followed her debut with Russell Crowe in “Blood Oath” starring in such films as David Cronenberg’s “Crash”, David Fincher’s “The Game” with Michael Douglas, “Hurricane,” with Denzel Washington, and “Payback,” with Mel Gibson. From blockbusters to indies, with over 50 films to her credit, she has starred alongside such luminaries as John Travolta, Nicole Kidman, Scarlett Johansson, Michael Keaton, Samuel Jackson, Martin Sheen, and Al Pacino, and will next be seen opposite Nicolas Cage in 2017’s “Vengeance: A Love Story”. Her works have garnered her awards including the Geraldine Page Best Actress Award opposite Sir Ian McKellen in “Emile,” Canadian Academy Award honors starring opposite Sophia Loren in “Between Strangers” and Ralph Fiennes in Istvan Szabo’s “Sunshine”, and in 2014 she received Hollywood’s Woman In Film “Gena Award” – named after Indie Icon and Cassavetes mainstay Gena Rowlandsfor her commitment to independent cinema. Anjela Nedyalkova’s breakthrough was in 2011 when she played the title role in the Bulgarian production ‘Ave’ by Konstantin Bojanov. For this performance she was awarded Best Actress at the Vilnius Film Festival. Leading roles followed in the feature film ‘Bulgarian Rhapsody’ & the TV series ‘Liasons’. She was then cast in the lead role of Jenya in The Paradise Suite, which was selected as the Dutch entry for the Best Foreign Language Film at the Oscar Academy Awards. This acclaimed performance won Anjela the award of Best Actress at the Sofia Film Festival & the Angela Acting Award at the Irish Subtitle Film Festival. 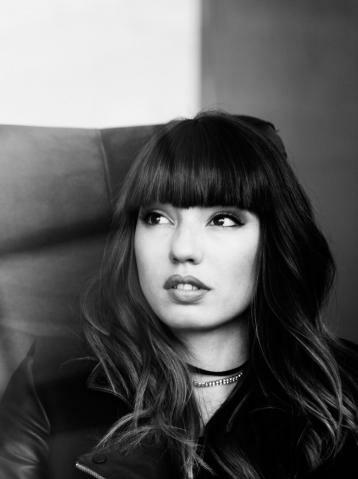 Anjela Nedyalkova can currently be seen playing the lead girl ‘Veronika’ in Danny Boyle’s ‘T2: Trainspotting’ - the highly anticipated sequel to the iconic British movie. Born in 1983 in Veliko Tarnovo, Bulgaria. After graduating high school, she went to Dusseldorf, Germany where in 2009 she took her MA on philosophy and Japanese studies. In parallel she started making movies, focusing on critical documentaries. In 2011 she was accepted to study in “Deutsche Film- und Fernsehakademie Berlin” where as a screenwriter and director she created many short films. The movie "abwesend" was among the Cannes Cinefoundation selection. Her first feature film “Zhaleika“ (2016) was part of Generation 14+ program in Berlinale, where it was nominated for the „Best First Feature” prize. It received Special Mention from the international jury. “Zhaleika“ won many awards in different international festivals, one of which was the grand award from the 20th Sofia Film Fest. Bulgarian actor, composer, author and performer of songs, movie director. He graduated from NATFA and specialized directing in FAMU, Prague. He has published eleven albums, composed the music for many movies and theatrical performances. He’s played many roles in theatre and cinema. His work through the years has had a rich festival life, winning audience interest and prestige prizes and nominations. Some of his more significant movies as an actor are: “Incineration”, “The Glass river”, “The Migration of the belted bonito”, “The Sinking of Sozopol” and “Heating of the yesterday lunch”. As a composer: “The world is big and salvation lurks around the corner”, “Boarding for dogs”, “The Court” and “The Unblown”. In 2009 he directed the television spectacle “100 years Todor Kolev”. 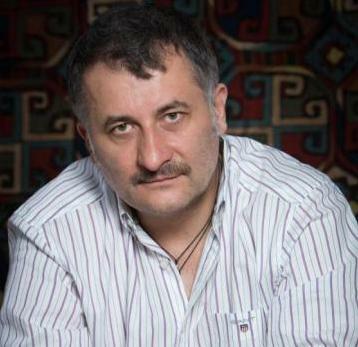 In 2010 he made the documentary “Manchester United from Svishtov”, which has entered the official selection of IDFA Amsterdam, HotDocs Toronto, Saraevo, Washaw, Sofia Film Fest and won the special jury award in Almaty’12 and also the award for best movie-portrait at the “Listopad” festival in Minsk’12. 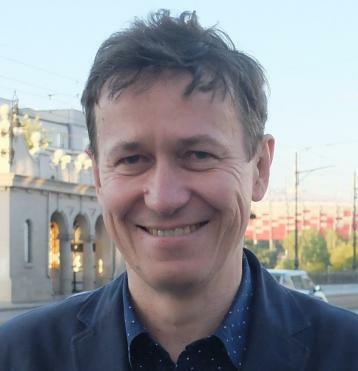 Stefan Uhrik is born in 1955 in Bratislava. From 1976 - 1981 studied scriptwriting and dramaturgy at The Film Academy (FAMU) in Prague. From 1983 to 1991 he worked at The Slovak Television as commissioning editor, then till 1993 at Barrandov Film Studios Prague. Later on he was the head of Milos Havel´s Script Foundation and from 2006 till 2011 he was in the board of RWE Barrandov script fund. He wrote several television films and plays as well as the feature ONLY A DAY (1988). In 1992 he started to work for The International Film Festival Karlovy Vary creating The Forum of Independents, an important part of the main program, which he executed to 2007. In 2007 he established Prague Short Film Festival and became its program director. 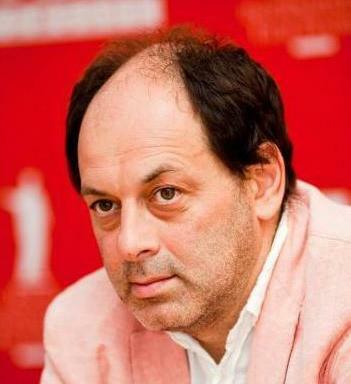 In 2008 he became the program director of the International Film Festival Prague – Febiofest. 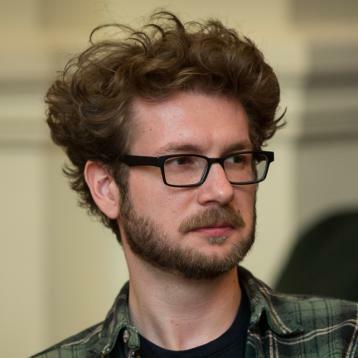 Since 1998 he works also for The International Film Festival Mannheim-Heidelberg, where he was in charge of Co-production Meetings and in 2012 he became the member of The Program Committee. Since 1993 he directed and produced the monthly TV-magazine FILMOPOLIS about independent films and filmmakers. Up to now he directed and produced about 200 one hour long programs. In 2011 he produced for Czech Television also the weekly show FILMKOMPAS. He is a member of European Film Academy. Stefan Laudyn is the director of the Warsaw International Film Festival. In the 1980s was involved in Warsaw rock and alternative music scene as band manager and event organiser. In 1990 became first head of theatrical distribution of Warner Bros films in Poland. In 1995 founded and became the general manager of the Warsaw Film Foundation. From 1996-2005 worked as expert of Polish Script Agency. In 2000 became the founder of Warsaw Screenings. In 2005 became the founder and organiser of CentEast Market Warsaw. He brought the European Film Awards to Warsaw in 2006. He’s a member of the European Film Academy and the Polish Film Academy. From 2004-2008 was a member of the Board of the European Film Academy. Stefan Laudyn has been involved in the international promotion of numerous Polish films. He’s also a poet and has published eight books as a member of Poet Group Rebjata. Andrei Tănăsescu is a festival programmer, curator and filmmaker based in Bucharest and Toronto. After getting a Specialist degree in Film Studies at the University of Toronto, he co-founded the Toronto-Romanian Film Festival. He completed a Master in Literature at the University of St. Andrews in Scotland, with the graduating thesis on Deleuze and Romanian Cinema. Since 2010, he‘s been part of the programming team at the Toronto International Film Festival, as well as a regular collaborator with the Berlinale Forum and Bucharest International Experimental Film Festival BIEFF. His passion for music and cinema has led to a number of projects that concern the specifics of each form and their potential for historical reevaluation. 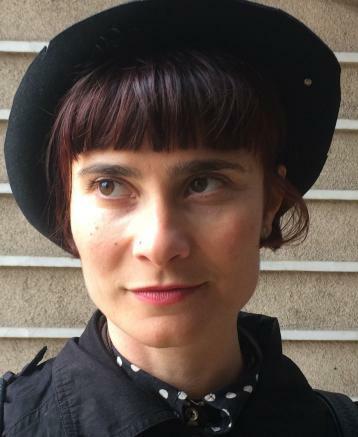 A graduate of Tisch School in 1994, Gindilis worked for television broadcast stations in the US and Russia. Since 1998 he worked as producer and head of international projects for NTV-Profit. 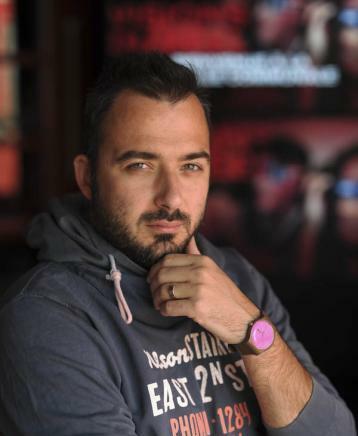 In 2004 he founded TVINDIE Film Production, since 2009 he is the Head of CentEast Moscow; since 2012 – Executive Director of the Red Square Screenings film market. Since 2016 - Co-Founder of Kinopoisk film market. Gindilis is a member of the European Film Academy, Russian National Oscar Commitee and Kinosouyz. Tonislav Hristov graduated film directing 2007 in Helsinki. During the last years his films have been presented at some of the biggest international film festivals: Sundance, Karlovy Vary, Pusan, IDFA, Tribeca etc. His films "Love and Engineering", "Soul Food Stories" and "Rules of single life" have won numerous international awards.